Teosyal® and Stylage® dermal fillers revitalise the skin, stimulate the production of collagen and restore tone, elasticity and hydration to the skin. Dermal fillers in the brow area can give a slight lift to the brow and restore lost volume to the upper orbital area. Chin reshaping with dermal fillers gives you the chance to rebalance your facial features without going under the knife. Chins can be made stronger, more tapered, or more projected, making the nose appear smaller in profile. The pre-jowl sulcus can also be filled, effecting a smoother transition between the chin and jawline. Deep wrinkles on the face result from advanced ageing, sun damage, and acne scars. When anti-wrinkle injections aren't enough, dermal fillers can be used to camouflage wrinkles on the forehead and face. The effect of repeated injections can even stimulate collagen production on a more permanent basis. Torn or stretched earlobes can be cosmetically improved through careful injections of dermal filler. Congenitally short earlobes may also benefit from dermal fillers to the earlobe. Hands are often the first area to show signs of age. Dermal fillers for hand veins and tendons can mask irregularities and thicken the dermis. Do you have undesirable results from dermal fillers? This treatment dissolves unwanted hyaluronic acid fillers in a matter of hours. Achieve the perfect pout. Thin lips as a result of age. genetics or environmental factors can be rejuvenated naturally through dermal filler injections to the lips. Not only are fuller lips achievable for everyone, but their contour, shape and definition can be vastly improved without creating an unnatural look. Nose reshaping with dermal fillers is a safer alternative to rhinoplasty. Bumps can be concealed, asymmetries can be improved and the nose can be streamlined into a more aesthetically pleasing profile. Nose-to-mouth lines are one of the earliest signs of facial ageing. They appear due to repeated facial animation, as well as tethering of the skin and falling cheek pads. Shallow lines and deeper folds can be easily treated with dermal fillers. Scar camouflage with dermal fillers can treat depressed (atrophic) scars of any kind. These are often difficult to improve using non-invasive medical treatments alone, making dermal fillers a very good choice in these difficult cases. 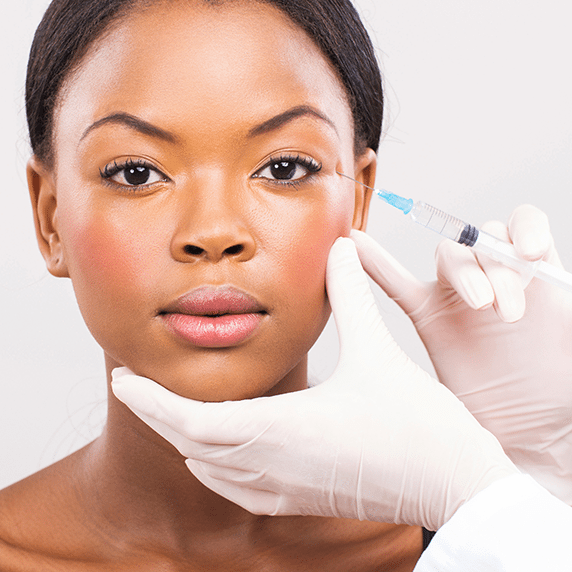 Careful injections of hyaluronic acid last for at least 6 months and can significantly improve certain types of acne scars, including acne-related icepick scars and scars from surgery or traumatic accidents. The thin skin around the eye area is prone to age related changes. Orbital hollowing, a condition characterised by dark circles and depressions in the tear troughs, can be treated with dermal fillers to the region beneath the lower lids. This acts to smooth the lid-cheek junction for a youthful, rested look. Hollow temples can result in a bony appearance to the outer rim of the eye socket, making the tails of the brow appear droopy and sad. Dermal fillers for volume restoration can make the eyes appear larger, lift the brow corners and make the upper face appear younger. Whether you're looking for modelesque cheeks, youthful fullness, or a subtle addition of volume, the perfect cheeks can now be yours. For cheek enhancement, the highest cross linked Teosyal® is used, which lasts for up to eighteen months.